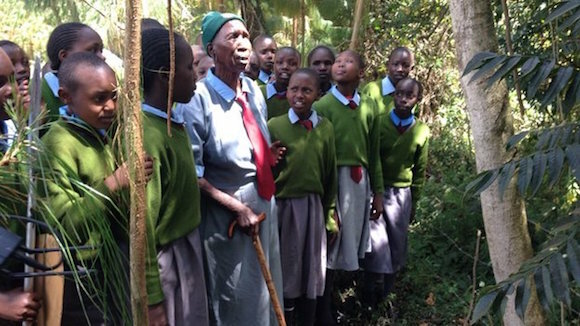 A 90-year-old Kenyan woman who goes to class with six of her great-great-grandchildren is believed to be the oldest primary school pupil in the world. She joined Leaders Vision Preparatory School five years ago. Affectionately known as “Gogo”, which means grandmother in the local Kalenjin language, she says at 90 she is finally learning to read and write – an opportunity she never had as a child. Headmaster David Kinyanjui believes Gogo, who boards at the village school, is an example to the rest of her class. “I’m very proud of her,” he says. via BBC News – Kenyan grandmother at school with her great-great-grandchildren.